As Marriage/Couples/Relationship Coaches & Counselors, Jesse and Melva Johnson are committed to supporting healthy relationships. 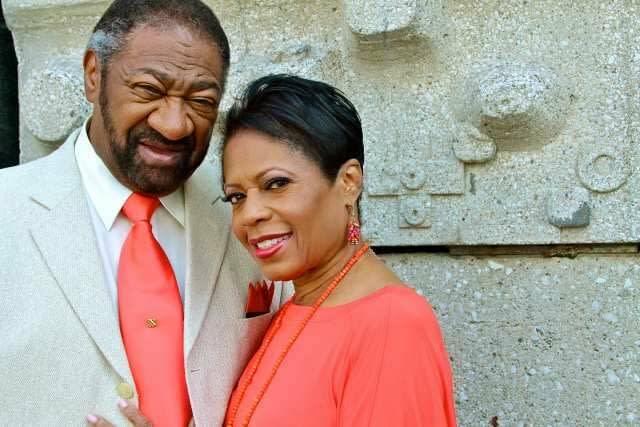 Jesse and Melva Johnson personally know the ups and downs of relationships as they have been practicing in theirs for over 30 years! They have over 60+ years of combined experience as psychotherapists, relationship educators, workshop leaders, public speakers, authors, and consultants. Melva holds a Master’s Degree in Social Work from the University of Michigan and is a certified Imago Relationship Therapist, Workshop Presenter, and Consultant. Jesse holds a Master’s Degree in Humanistic and Clinical Psychology from the Michigan Graduate School of Professional Psychology and is a certified Imago Relationship Therapist and Consultant. Jesse and Melva have worked hard to live the message they teach—in their marriage and family, and as business partners. Their marital journey began as a “blended family.” They were determined to create a successful life experience for themselves, and their two minor sons from Jesse’s previous marriage. To be successful, they had to overcome the internal and external influences, pressures, and conflicts that often tear families like ours apart. Through the study of marriage and family therapies, marriage education programs, “trial and error,” an ongoing shared commitment, continuous dialogue, problem-solving, goal setting, planning, cooperation, and mutual support, they have successfully created the kind of marriage, family, and professional life they desired. They are excited whenever they have the opportunity to share these tools with other couples to enable them to also create the relationship they’ve also longed for. Jesse and Melva are the authors of Mining for Gold in Your Marriage: 12 Step Journey to Uncover the Hidden Treasures in Your Marriage. They have also appeared on local and national radio and television shows and been featured in numerous print media.